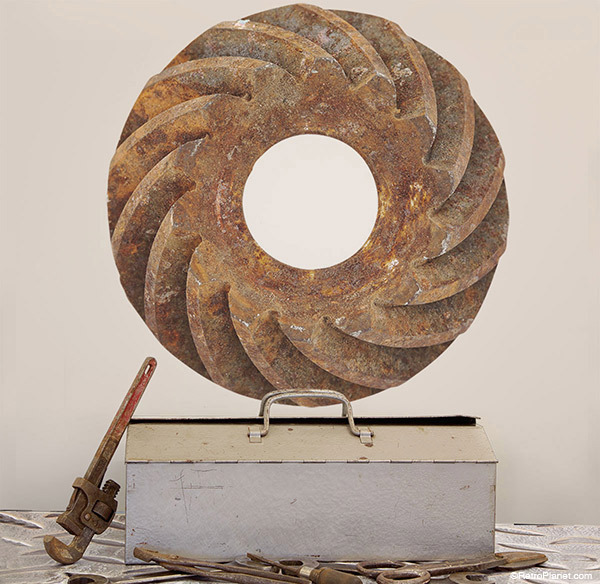 One of the most trending styles in decor is the use of industrial design to create a rustic, flea market style decor. The result of using both modern and vintage decor items together is a design trend called Retro Modern. This look may be difficult to achieve, as the prices of vintage industrial items are rising as the popularity of the trend increases. But we have a great cost-effective way to get this fabulous look. 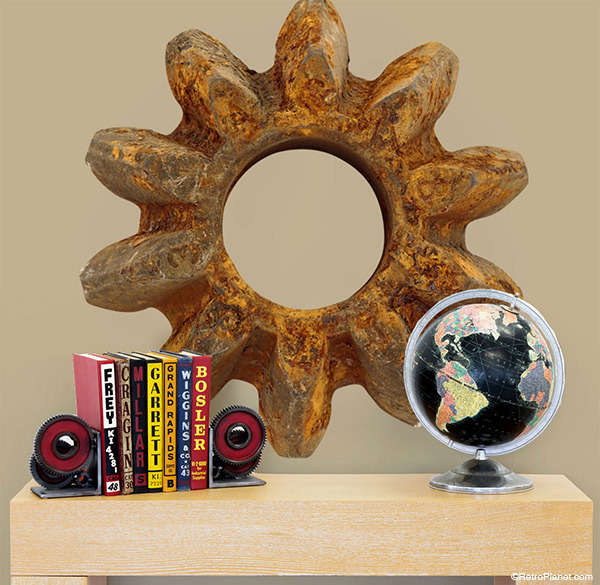 We found cool industrial gears, cogs and wheels and took hi-resolution photos of them to create rustic artwork that we then placed onto lifelike wall decals, stickers and other products. 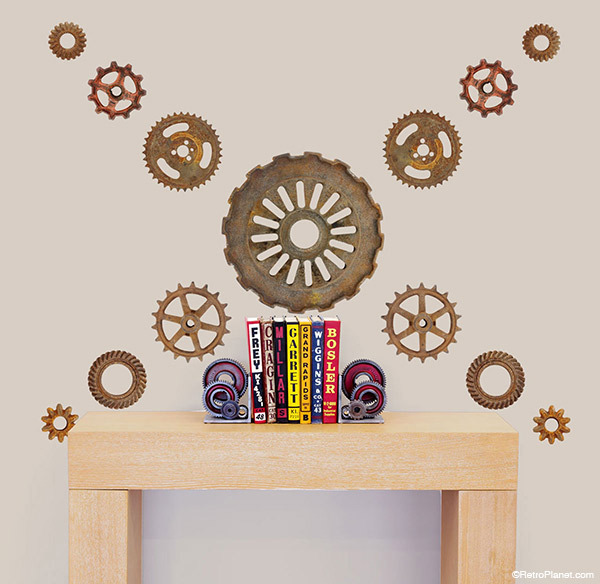 One large gear wall decal makes a statement on any wall. Among the vintage style products available with this flea market style artwork are wall decals. Now you can get the actual look and feel of a 48″ machine gear at a fraction of the price of a real one. And the benefit of displaying a wall decal is that they can be removed so you can change up your decor whenever you like. Removable wall decals can be arranged as you like to highlight a wall. Whether your goal is to create a rustic kitchen decor, a vintage industrial look or perhaps you prefer steampunk style, these rustic design inspired products were created to help you execute all of your decorating ideas. No one needs to know these accessories are not truly flea market decor, or that you didn’t spend a fortune to get them. All everyone will see is your great decorating style. Emphasize a wall in a garage or workshop with cool industrial style. Check out the variety of products featuring the original Retro Planet gear design and get those creative juices flowing. When you’ve completed your own retro modern look be sure to share your design ideas and photos with us. Retro Planet gear art appears on a variety of decor items.